I really don't know how to start off with this post. So I'll just say welcome to my blog Beauty And The Briefcase. There is a reason i coined this name! I love beauty, fashion, writing,etc but i can never give up on my love for finance as well. I'm an MBA and will soon start working in a bank. Thus that's how i decided to name my blog by considering two important aspects of my life. Anyway, i just started this blog so that i can share reviews, beauty tricks,hauls or any thoughts that i think will be useful. For the past two years i was away from home, studying in another city. Now I'm back home with some free time so i thought why not do something which i haven't done so far. That's how my blog came into the picture. I've been meaning to do this since a while but finally got the courage to do it. I have drawn the inspiration to start blogging from Radha of Indian Beauty Zone, she is so helpful and kind. I have grown so much in terms of writing with your help. I would love to thank Lisha, Apoorva and Tejinder Kaur for always appreciating my write ups. Your encouragement has gone a long way in shaping the blog. Thank you for reading this and hope you all stick around for further posts! 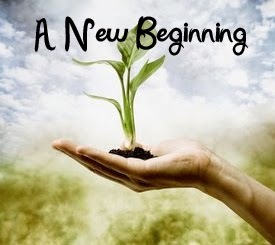 Welcome dear..and my best wishes for your new beginning. Congos karishma for d start.